Northwestern University’s Project Excite program successfully reduced achievement gaps in science, technology, education, and math (STEM), according to published research that received “Paper of the Year” honors by the National Association for Gifted Children. The study, Minority Achievement Gaps in STEM: Finding of a Longitudinal Study of Project Excite” appeared in the journal Gifted Child Quarterly in 2017 and was co-authored by researchers with the Center for Talent Development (CTD), including Paula Olszewski-Kubilius, director of CTD; Saiying Steenbergen-Hu, research director; Dana Thomson, post-doctoral fellow at Boston College; and Rhoda Rosen, associate director of CTD. 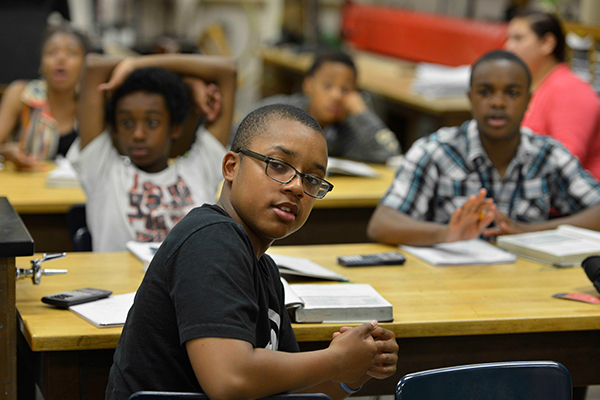 Northwestern’s School of Education and Social Policy originally developed the Project Excite program in 2000 in collaboration with Evanston schools to help minority third through eighth-grade students better prepare for accelerated math and science courses in high school. The 14-year study compared the performance of Project Excite participants with that of students from their local school districts and the state, using standardized tests and placement rates in above-grade-level math courses in ninth grade. Students in Project Excite consistently outperformed their black, Latino and low-income peers and came close to the performance levels of white, Asian and non-low-income students. “They were more likely to be placed in above-grade-level math courses than their minority peers in ninth grade,” said Olszewski-Kubilius. The first follow-up analysis of Project Excite data covered six years of participation and was also named “Paper of the Year” in 2011. That study was co-authored by Olszewski-Kubilius, former CTD researcher Seon-Young Lee, now on the faculty of Yonsei University in South Korea, and former Project Excite Director George Peternel. The article originally appeared in Gifted Child Quarterly in June 2010. “Our most recent findings suggest that identifying high potential children at an early age and front-loading programs to provide additional academic learning can help bridge the achievement gap and prepare them for success in advanced programs,” said Olszewski-Kubilius, a professor in the School of Education and Social Policy.